Princeton Ridge offers a quiet, family friendly atmosphere in a peaceful and secluded setting. 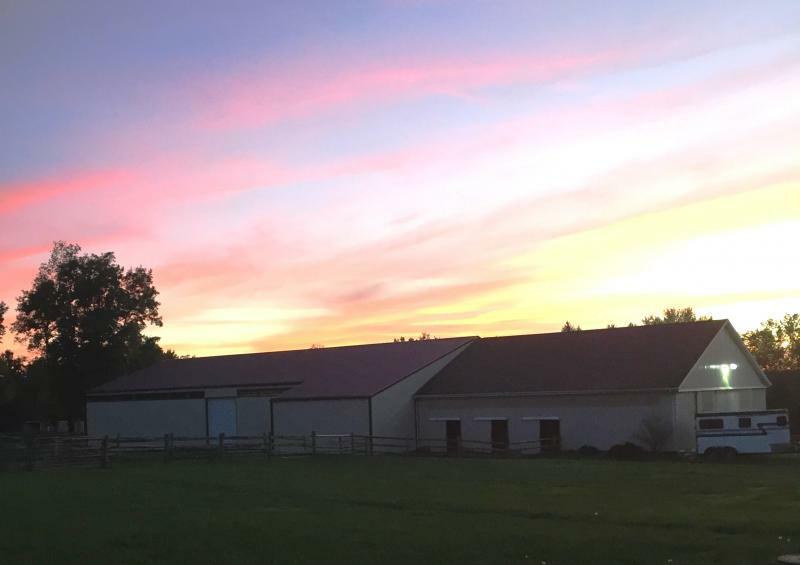 Due to the fact that we only have eleven stalls, we are able to easily cater to each individual horse, and we pride ourselves on the care they receive. We currently offer full care boarding for $550 / month. Princeton Ridge Farms is now offering riding lessons and horse training services, in addition to boarding. 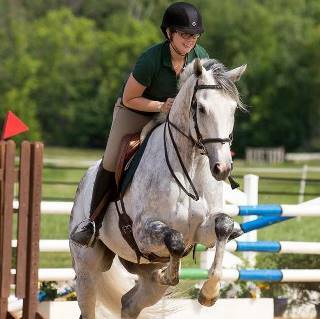 We have several qualified instructors, in several disciplines from dressage to hunter jumpers and all skill levels from beginner to advanced. We have a handful of nice lesson horses available, or feel free to bring your own horse. Price per lesson will vary based on which instructor you choose, from $35-65. Please contact april@princetonridge.net for more information on lesson options. We also specialize in training and bringing along young horses from unbroke, or racetrack broke to show ring ready. We have a long track record of success in training young, green horses with patience and kindness. We believe a solid foundation is essential for any horse, no matter what the eventual goal, and pride ourselves on the ability to provide that foundation to all of our training horses. We also work with "problem horses" and their owners to help solve various behavioral issues both on the ground and undersaddle. April Woodward is our resident trainer, and has many years of experience working with young and behavioral horses. She teaches both dressage and jumping lessons, with students from beginner children, to more advanced adults. April teaches biomechanics and correct riding to all levels of riders, and is kind, patient and knowledgable. April also regularly judges local dressage and hunter shows, when she is not teaching or riding. Prices are affordable and training options are flexible and tailored to the needs of each horse. Training starts at just $35/ride, with partial training packages beginning at only $200/month and full training at $400/month. Please contact April Woodward for further information. At any given time we may have several sale horses avaiable at varying levels of training. Though we do train and sell various breeds, we have specialized in Thoroughbred retaining and sales for the last fifteen years. We have an excellent ability to pick the right prospect for various disciplines, the knowledge to train correctly, and a strong reputation to back it up. Read some of our success stories on the "Our Horses" page, or browse our sales offerings. Don't see what you're looking for? Tell us what you need, and we can help you find it. We have been in the business for many years and always have connections with quality horses for sale. April charges a small commission in exchange for her time, but has an excellent reputation for selecting quality horses to develop, and for matching riders appropriately. Copyright 2014 Princeton Ridge Farms, Ltd. All rights reserved.